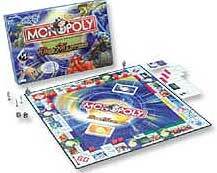 Join aspiring duellist Shobu and his friends in this special monopoly edition. Move around the board to build up your Duel Masters deck - collect creatures and spells! Special Duel Masters rules included.